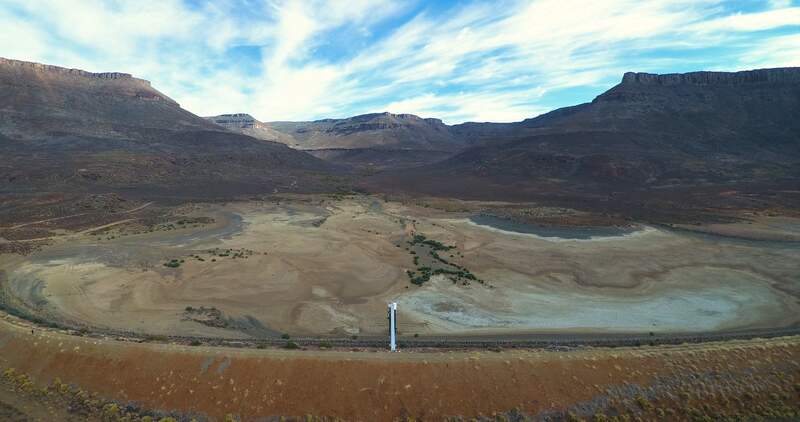 The Calvinia Water Treatment Centre tests and treats the town’s drinking water, now coming solely from borehole water. Bottled water donations are still pouring into town, and the Hantam Municipality helps distribute some of it to the poorest residents. The town keeps meticulous records of how much water is pumped out of the boreholes and consumed by residents. Small reservoirs serve as a backup for the boreholes when there is no electricity. Funded by impactAFRICA and the Bill and Melinda Gates Foundation.